Failed Back Surgery Syndrome: What Is It and How Can I Avoid It? Carl Spivak, MD - Executive Spine SurgeryNewsSpine SurgeryFailed Back Surgery Syndrome: What Is It and How Can I Avoid It? If you have a condition or pain that leads you down the path of getting back or spinal surgery, chances are you want that surgery to be a success. But when it comes to back surgery, there is the potential that it could fail or your condition could worsen. This negative result of back surgery is generalized under the term “failed back surgery syndrome” or “FBSS”. This sounds scary and discouraging, but the good news is there are steps you can take to avoid FBSS and have the successful surgical outcome you’re looking for. In this article, we’re going to go over exactly what FBSS is, how it’s different from post-operative pain, and what you can do to avoid it. As we said earlier, failed back surgery syndrome is a general term for patients who experience an unchanged or worsened condition after getting back surgery. This syndrome is distinct from the pain you experience post-surgery. Most people will experience pain, stiffness, and discomfort following surgery. FBSS isn’t pain caused by the surgery; it’s pain that occurs as a result of a failed or unsuccessful procedure that can lead to new types of pain and symptoms. The most common symptom of FBSS is chronic pain. This pain could be the same pain experienced pre-op, it could be that same pain worsened, or it could be pain in new areas. It’s important to distinguish between normal post-op recuperation and post-op pain from the abnormal chronic pain/symptoms experienced by those with failed back surgery syndrome. There are a few potential causes of FBSS. First is the idea that back problems and pain can’t always be specifically identified. Back surgery can go in a fix something that is thought to be the cause of your pain, but sometimes whatever gets fixed wasn’t actually the cause of your pain. When this happens, the true issue is never fixed, which leads to continued pain post-surgery. Also, this means that surgery was performed on an area that didn’t necessarily need it, which can lead to new symptoms and pain as a result. FBSS can also be caused by the procedure itself not going as it’s supposed to. 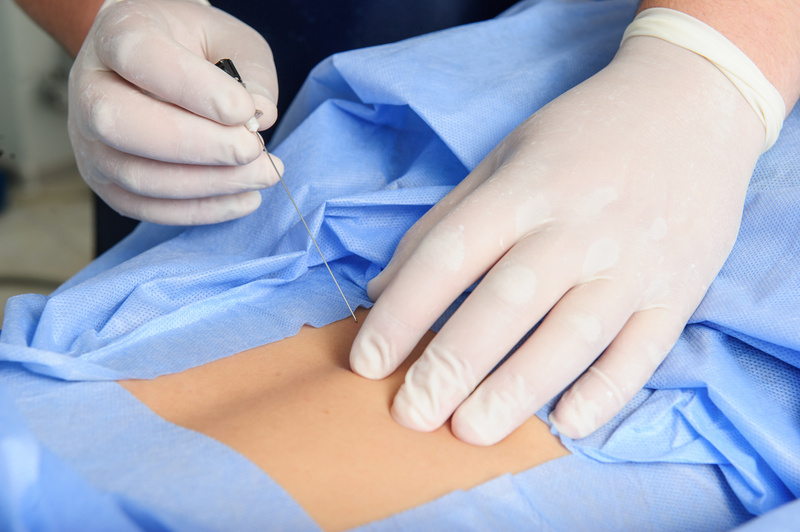 Many back procedures have high failure rates. This could be because of an implantation failure, failure to fuse during a spinal fusion procedure, etc. Sometimes scar tissue can form around the area where the surgery was performed. This can lead to pain, stiffness, and immobility, all of which are symptoms of FBSS. While there are never any guarantees when it comes to back surgery, there are steps you can take to minimize your risks, help your body heal, and avoid failed back surgery syndrome and the symptoms that come with it. Having back surgery is a big deal that can literally change your life. You need to know that you can trust your doctor and surgeons to do the best job that they can even with a surgery that isn’t 100% guaranteed to help you. Take the time to get consults from a few different doctors. This will help you get a feel for how different doctors would handle your condition so you can know you’re getting the right procedure. We mentioned that sometimes FBSS is caused when a procedure is done unnecessarily or is the incorrect procedure for what’s causing your pain and symptoms. Consulting multiple doctors and finding one you really trust will help ensure that you’re getting the right procedure from a competent and talented physician. You can also look up reviews of different surgeons to see other patient’s outcomes. But even the best doctors have patients that experience FBSS. The best things you can do to reduce your risk of FBSS is to adjust some things in your life to promote healing and reduce pressure on your back. Weight is a big risk factor for back pain. If you’re overweight or obese, getting into the normal weight range for your height can take a significant amount of pressure off your back, which can relieve both pain and stress. Cutting out tobacco can also help promote healing. Smoking has been shown to slow down healing times and increase the rate at which the spine degenerates. Smoking could result in a failed procedure, so be sure to stop before surgery. Finally, you should adjust any activities or positions that lead to or contributed to your condition in the first place. All the surgery in the world won’t help you if you go back to the same damaging behaviors you were doing pre-surgery. If sitting in an uncomfortable office chair all day was a factor of your lower back pain, don’t go back to doing that post surgery. Get a proper chair that supports your back in a healthy way. Were you doing incorrect yoga stretches with bad form that lead to your condition? Don’t continue to do those stretches after surgery or you could end up with a worsened, or unchanged, condition (aka FBSS). Make a plan with your doctor to adjust your lifestyle to promote healing after surgery. They’ll be able to tell you what position to sleep in, what stretches to do, and what things you should not be doing in order to have the best chance at success. Failed back surgery syndrome is an unfortunate reality when it comes to back surgery. No back surgery is 100% guaranteed to work. But, there are steps you can take to maximize your chance of success. Speak to your doctor about your procedure’s success and failure rates and what you can do to prevent a failed outcome. If you have any questions, don’t hesitate to contact us or book an appointment online.